Tate Modern claims to have had the best year in 2012. That's because the admission is free.Thomas Mathew writes from London about the Tate Modern which is a great place to find new modern art. 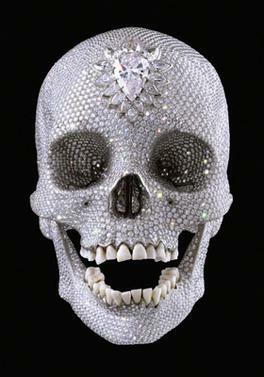 You can find out more about the retrospective exhibition of Damien Hirst and find out more about a diamond-encrusted skull appropriately named 'For The Love Of God'. You can also find out more about research done about why numbers are so high and why having the right facilities available like a public toilet to ensure that people keep coming back. You can also find out more about where the researched figures proved themselves most helpful. Understand why at the Tate Modern is the same research collected from the recent Olympic cultural festivals. Get the inside thoughts of the art world and find out more about the work done in art galleries over on Stirring Trouble Internationally to improve the Numbers Of Visitors everyday. Thomas Mathew tells a satirical tale about the rise in attendees at the Art museum. The annual figures according to Thomas have rose because of the Damien Hirst exhibition. The London Tate Modern visitors maybe the Olympics and all those people who turned up for the London Olympic Games. Thomas points out the Tate has also improved its lavatory facilities. If you have visited the Tate Modern before and curious about the recently published visitors figures then you laugh when you read this satirical post.